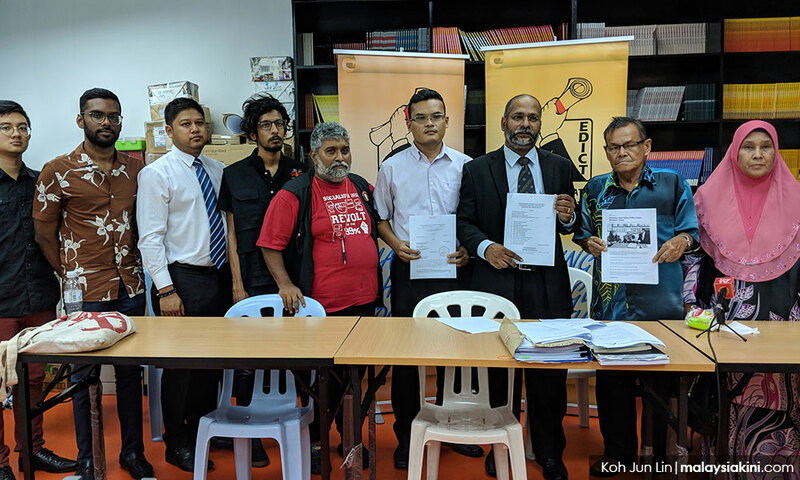 The Enforcement Agency Integrity Commission (EAIC) has denied claims by a lawyer that its report on custodial death victim Syed Mohd Azlan Syed Mohamed had been classified. It said that report was published and made public on Oct 30, 2015. Instead, the EAIC said the information sought by lawyer M Visvanathan for a civil suit was not part of the report. "The legal firm wanted to have the detailed list of witnesses that had given statements to the EAIC in the course of the investigation into the death of Syed Mohd Azlan. "In fact from the letter itself, it is obvious that the legal firm had access to the report and had even filed it as a plaintiff’s bundle of document. The EAIC said it had informed Visvanathan of this in its June 28 letter. In the letter, which was shown to the media yesterday, the EAIC said it did not want to risk exposing its witnesses to the public. The EAIC letter also cited Section 52 of the EAIC Act 2009. The provision stipulates that no member of the EAIC shall disclose any information obtained in the course of duty. Azlan, a welder aged 25, was arrested in the wee hours of Nov 3, 2014, and brought to the police station lock-up in Sungai Rengit, Johor. He died while under custody, several hours later. Following an investigation, the EAIC had said that it found 61 wounds on Azlan’s body that were consistent with defensive injuries, and said police personnel had beaten him while in custody. The EAIC in its statement yesterday, reiterated its findings that there was foul play in the death. Three police personnel - Weddrin Mojingkin, Joshua Perait, and Muhammad Bunyamin - had been charged under Section 304(b) over the death. The case is still pending at the Johor Bahru High Court. Azlan’s family had filed a civil suit naming 14 respondents, including the trio, on Nov 1 last year to claim damages for the death. The EAIC was established on April 1, 2011, in response to a royal commission of inquiry recommendation that called for an Independent Police Complaints and Misconduct Commission (IPCMC) to be set up.